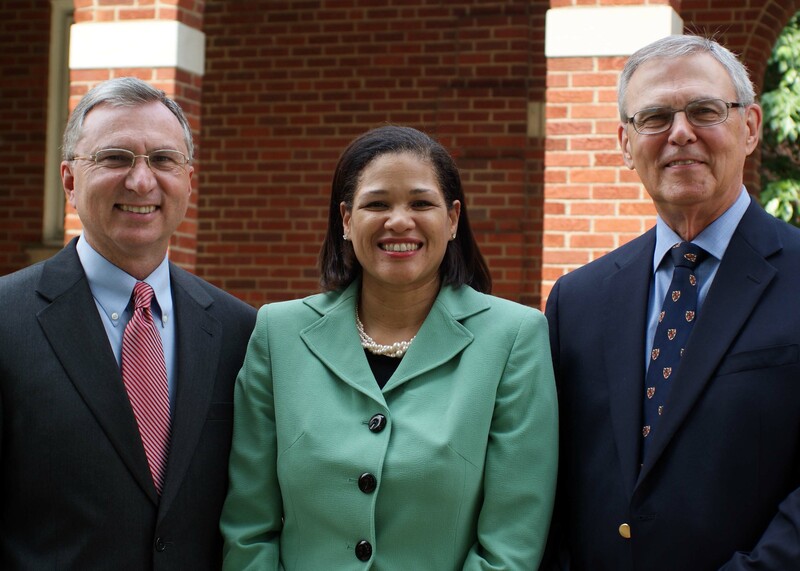 In a special meeting this morning, July 7, Lexington Theological Seminary Board of Trustees named Dr. Charisse Gillett the Seminary’s 17th president, effective Sept. 1. “Dr. Gillett brings vision and energy for leading LTS with its innovative approach for preparing men and women for congregational ministry. She brings a unique combination of experiences with higher education, the Christian Church (Disciples of Christ), and LTS. Her demonstrated leadership abilities, her strategic and creative approach to issues, her commitment to students and congregations, and her effective communication style are all qualities that clearly make Dr. Gillett the right person to lead the Seminary as we move forward,” said LTS Board of Trustees member Leslie Geoghegan, who chaired the presidential search committee. Dr. Gillett has served as Vice President of Administration and Special Projects at LTS since February 2010. Dr. Gillett has more than 20 years of successful administrative experience in higher education, including service at Transylvania University, Midway College, Robert Morris College and University of Northern Iowa. She holds a doctorate in education from Northern Illinois University. A former moderator of the Christian Church (Disciples of Christ), she has been a commissioned minister by the Christian Church in Kentucky since August 2010 and is Associate Minister at East Second Street Christian Church (Disciples of Christ), where her husband, LTS D.Min. alumnus Dr. Donald Gillett II, serves as Senior Pastor. She is also a former LTS trustee and officer of the board. Dr. Gillett’s appointment is a historic one in the 146-year history of LTS. She is the first woman and first African-American to lead the Seminary as president.